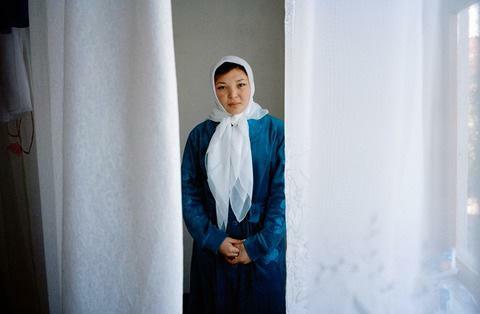 The practice of Ala Kachuu in Kyrgyzstan was made illegal under Soviet law in the 1920s however -since its independence in 1991 - Kyrgyzstan has witnessed a steady increase in the number of non-consensual bride-kidnappings. Restless Beings has been raising awareness about Ala Kachuu for nearly two years and this year we have partnered with Sezim, a Kyrgyz organisation working to combat violence against women. Our partners at Sezim have been providing essential support and care to several victims of Ala Kachuu. Sezim was created in 1998 at which time the issues of domestic violence, let alone Ala Kachuu, were rarely discussed at a governmental or public level. The women’s advocacy group and staff of the first shelter in Central Asia, Umyt, formed a new independent non-governmental organisation: the Crisis Psychological Centre for Women and Familiy - Sezim. 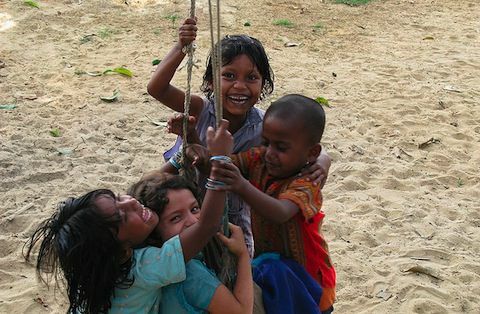 Sezim provides rehabilitation and reintegration aid to women and children suffering as a result of gender based violence, domestic violence and human trafficking. The centre actively collaborates with governmental authorities as well as other international organisations supporting their mission. The centre has significant experience in the fields of gender rights, domestic violence, and human trafficking advocacy and Restless Beings has been closely working with them to support the victims of bride kidnapping. Earlier this year Restless Beings visited Kyrgyzstan and secured charity registration to carry out operations tackling the issue of non-consensual Ala Kachuu. Working in partnership with Sezim we have helped the organisation to focus some of their resources on the issue of Ala Kachuu and provide essential support to young women and children who find themselves in desperate situations. 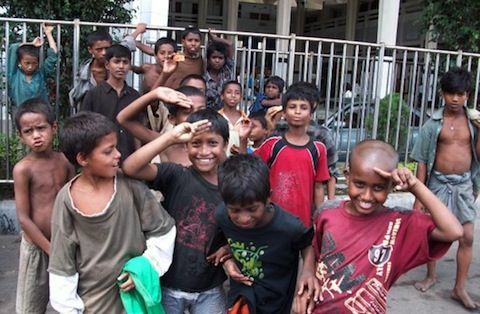 Sezim provides a variety of services including a 24-hour hotlines, consultations with medical and legal professionals, a shelter with a holistic reintegration and rehabilitation programme and educational programmes. Sezim regularly works with the media at the regional and national level addressing the fields of gender rights, domestic violence and now Ala Kachuu. In 2000, new branches of the centre were established in the town of Sokuluk and Kant of the Chui region thus reaching out to more people in need of help. Restless Beings launched the ‘A Helping Hamper’ campaign to help raise essential funds to deliver basic items such as toiletries and small gifts to the women and children celebrating Eid at the shelter. Furthermore we are in regular contact with the families of Viniera and Nuzrat, two young girls that tragically took their own lives in the aftermath of non-consensual Ala Kachuu, and through Sezim we have been able to provide them with much needed financial support during Ramadan. Regular updates are sent to Restless Beings about the progress the women are making at Sezim. 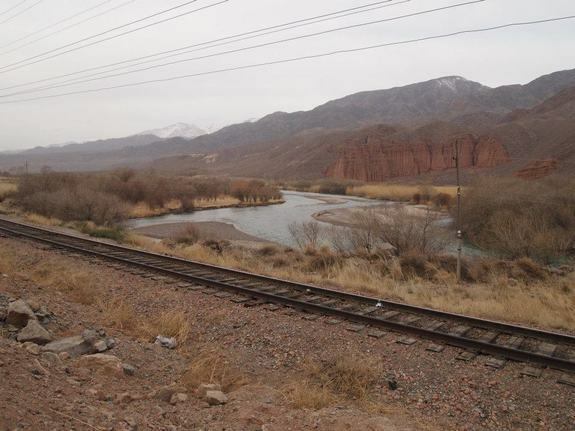 Ala Kachuu cases have steadily been increasing across Kyrgyzstan and tragically some cases have resulted in suicide. Sezim’s holistic approach to tackling these human rights violations is incredibly valuable and serves as a tool to prevent such tragedies from happening in future. We would like to share with you three stories of young women that have been victims of non-consensual Ala Kachuu and the hard work they have undergone with Sezim to improve their lives. Please note that all names have been changed for their safety and privacy. Elina, aged 27, was kidnapped by a stranger six months ago and consequently suffered from severe depression, emotional guilt towards her parents and suicidal thoughts. Considering herself a ‘spinster’ and fearing never getting married, Elina felt trapped into staying with her kidnapper despite the protests of her parents. Elina came to realise she had made a mistake in staying with her kidnapper however the fear of being made an outcast by her family and friends forced her to stay married for a second month. After two months of being married to her kidnapper, Elina sought Sezim's help. She has been receiving psychotherapy and, working closely with the psychologist, Elina has been able to envision plans to reintegrate into society. Her first success has been slowly restoring social ties with her relatives and friends; people she once feared would shun her. Macha is 19-years-old with a one-year-old child. She was kidnapped by a man 22 years her senior and forced to marry him. Macha was an orphan and had no family member to call for help so was forced to marry her kidnapper and became victim to further domestic violence within the marriage. Her husband developed an addiction to alcohol and subsequently lost his job which supported his family. 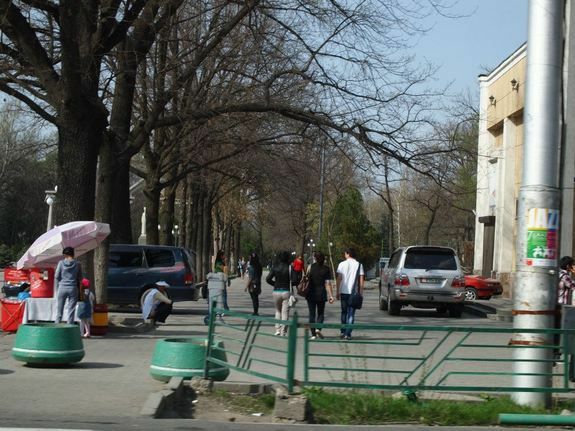 He then kicked them out of their home as he couldnot afford to take care of them any longer so, with no shelter or income, Macha and her infant began begging on the streets of Bishkek. Fortunately, an incident involving Macha fainting from hunger in a cafe lead local workers helping her find Sezim. At the shelter Macha underwent a structured rehabilitation and reintegration program where she discovered her creativity and had the drive to overcome her obstacles. Her first victory was receiving a passport and attaining a birth certificate for her child. Macha was one of the most active participants during seminars and support groups and found the motivation and courage to continue her education. Re-entering education hasn’t been easy, but with support from the social workers at Sezim, Macha has been improving and at present combines study and work. Macha’s story has been widely publicised in the media and she has also found herself reuniting with her brother whom she had not seen since early childhood. Together with her brother, Macha has participated on a national talk show - ‘Minority Report’ - and has told her story to help others who find themselves in similar situations. Arabella was kidnapped whilst studying at university and found herself forced into marriage. Within two weeks of her marriage her ‘husband’ began to physically and emotionally abuse her with beatings, insults and emotional torture. For three years Arabella lived in isolation and like a slave where any form of disobedience to her husband resulted in violent punishments. After the many beatings, Arabella finally went into hospital where professionals identified her as a victim of forced marriage. When entering Sezim’s shelter Arabella suffered from high levels of anxiety, severe headaches extreme disorientation. Arabella received medical treatment from a neurologist and, after a course of counselling, her high levels of anxiety and fear significantly reduced. Not only does Sezim provide medical care to women, they also address other issues ranging from psychological, physical and social needs. Counselling allowed Arabella to identify new desires and goals for her life as well as helping her to reintegrate into society. Whilst individual needs are met by trained professionals at Sezim, group work such as art therapy and seminars is also encouraged as a means to help women develop their interpersonal skills. Currently Arabella is on a positive road to recovery with her pursuing higher education at university as well as enrolling on a two month culinary course as her chosen job. Sezim has helped Arabella to get better physically, mentally and socially and she has now moved to the Transit House where she continues to study and work. It’s incredibly important for Restless Beings supporters to understand the effects of Ala Kachuu and, through Sezim, we have been able to collect vital information about the women YOU help. Vital medical, psychological, educational and social forms of support are provided to all the women at Sezim. Sezim also helps women that have been victims of domestic violence by placing them in their Transit House; a house for women who have successfully completed the rehabilitation and reintegration program at the shelter. In many cases women do not have anywhere to go as many families will not accept them thus the Transit House is a safe place for women and children to continue with their lives. The cases above reveal the type of assistance that is provided to women that have endured various forms of violence whilst also revealing the very positive steps they have taken to have a better life for themselves and their children.